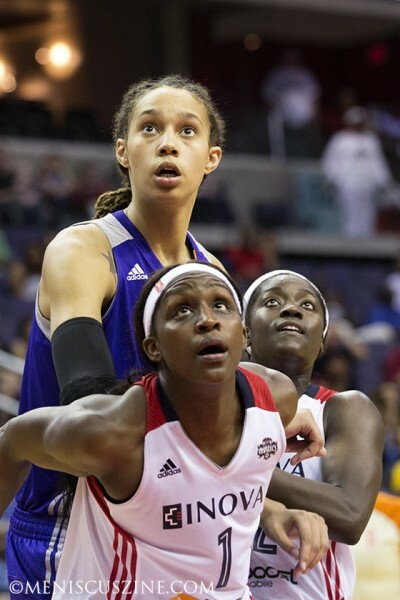 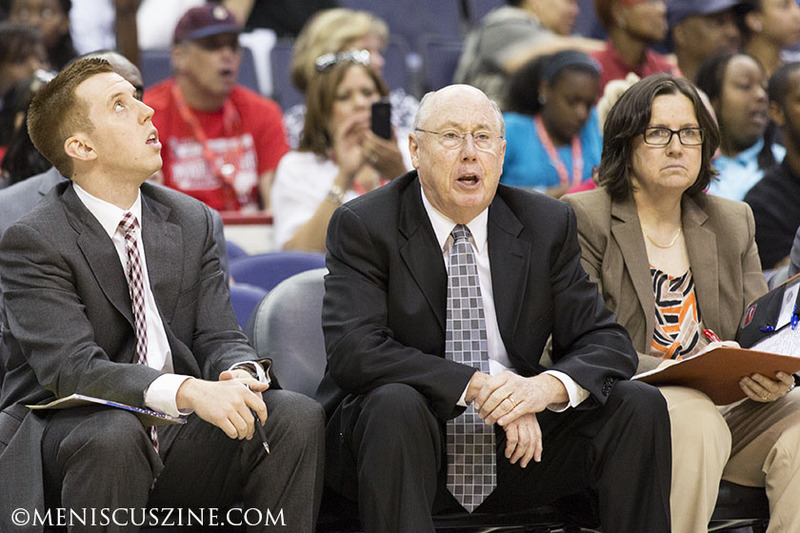 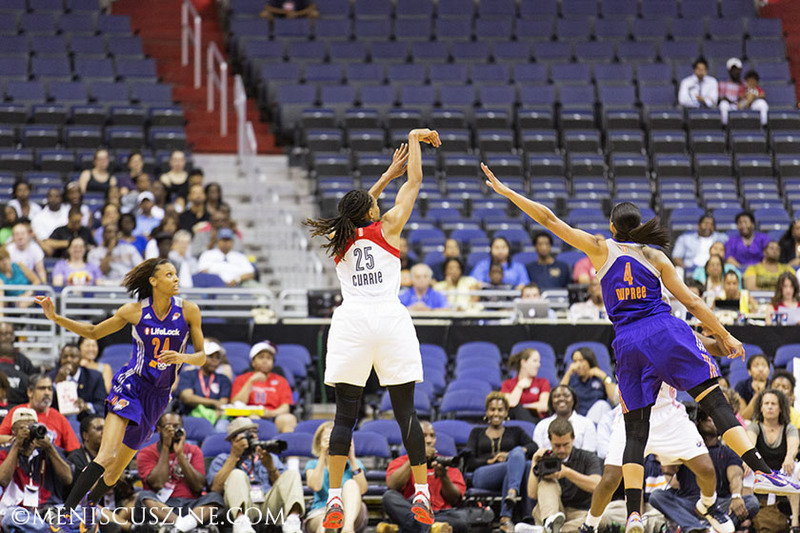 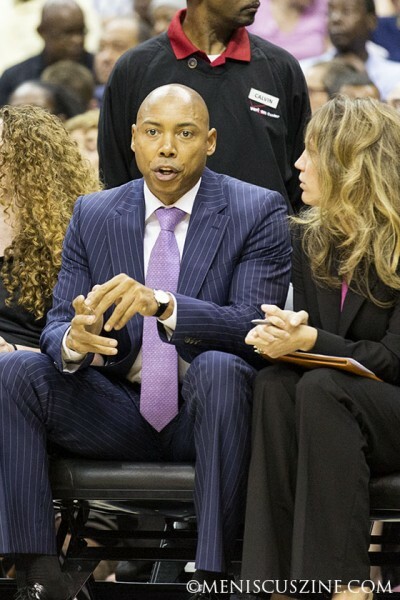 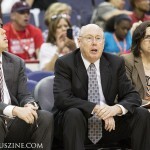 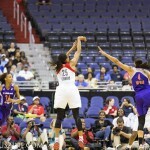 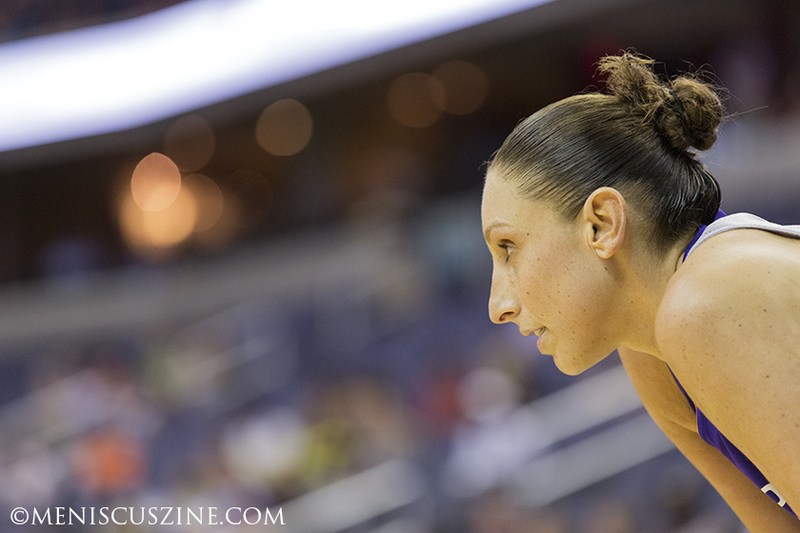 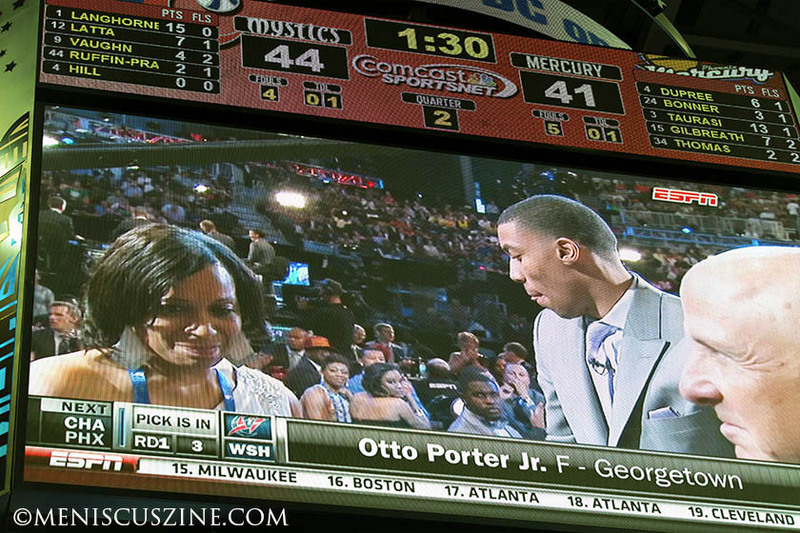 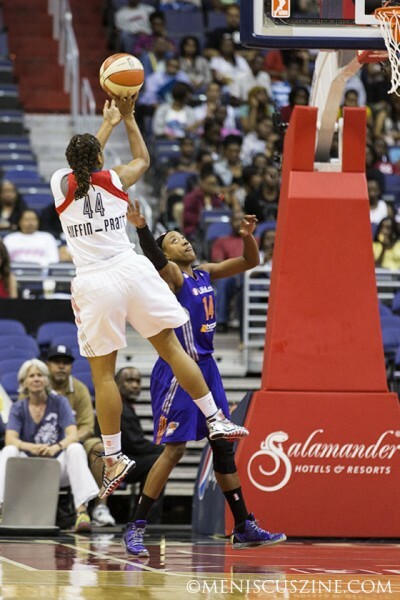 June 27, 2013, Verizon Center, Washington, D.C. – The Mystics could have won. 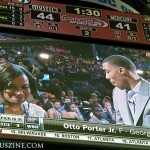 In fact, they should have won. 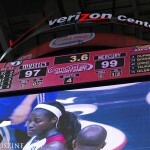 With the score tied at 91-91 with 1:02 to go, a couple of poor defensive series essentially cost the game for them. 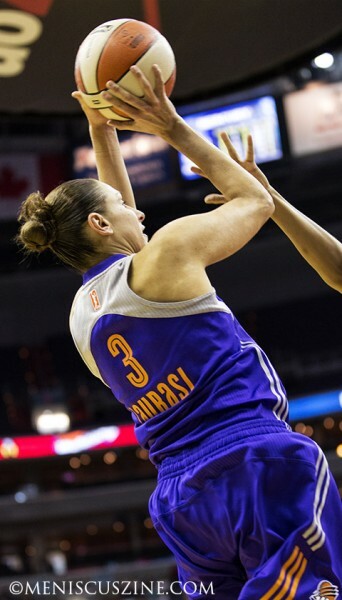 Playing an inspired first half against a Phoenix Mercury team loaded with talents such as WNBA super star Diana Taurasi and the newly No. 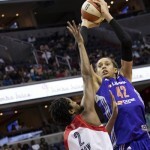 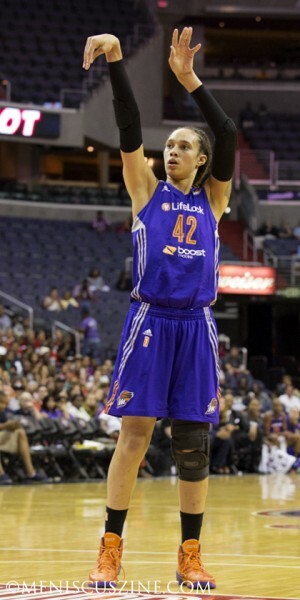 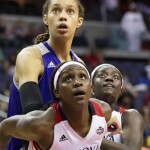 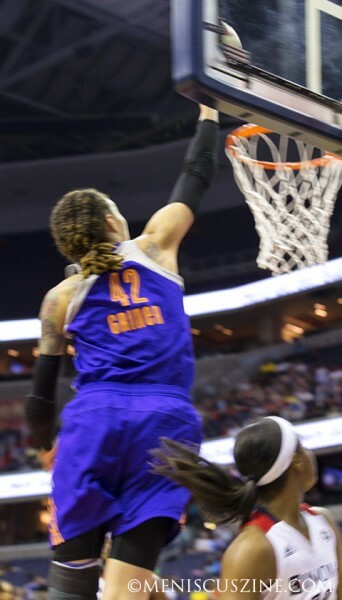 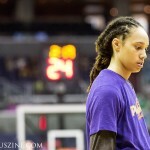 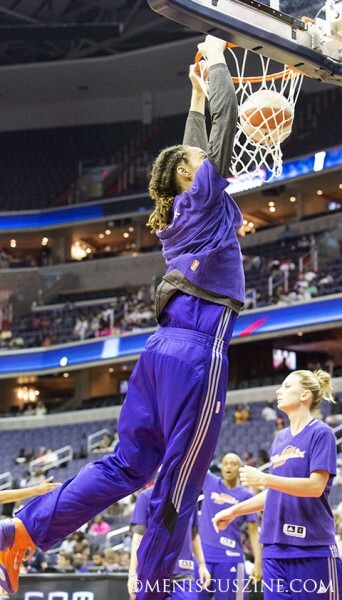 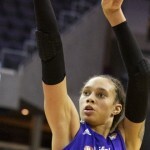 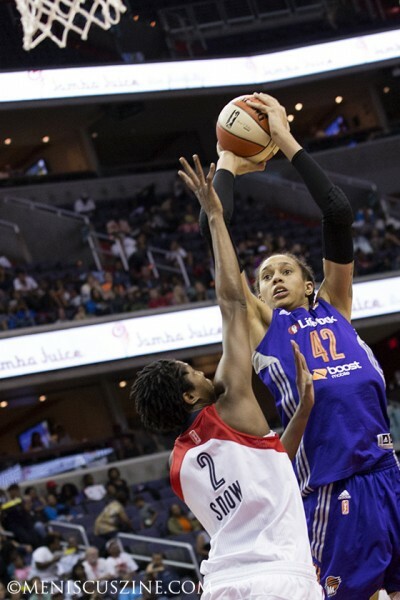 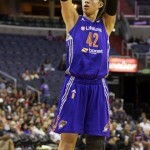 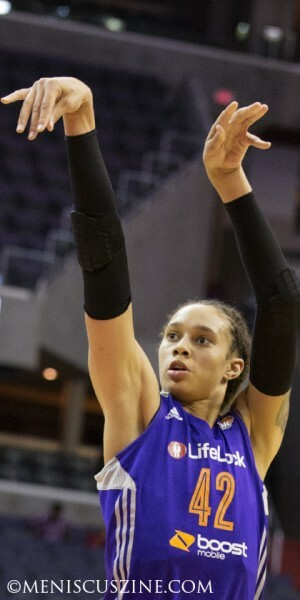 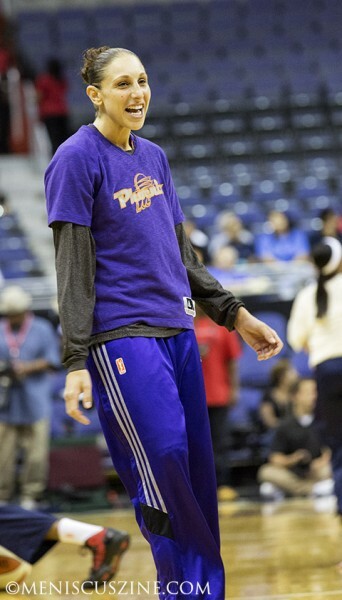 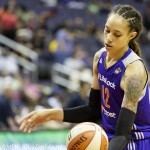 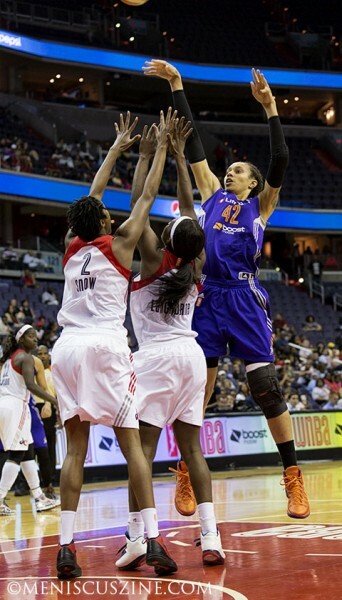 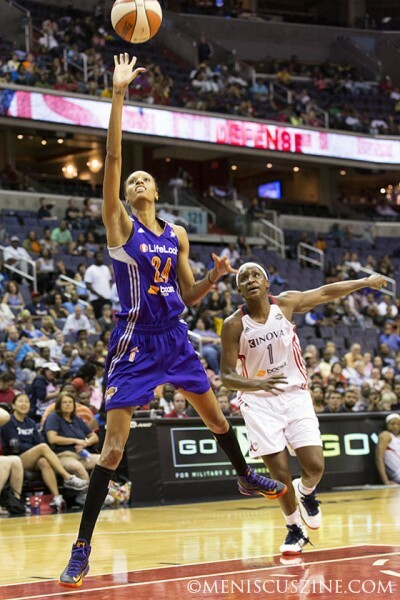 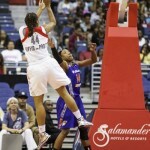 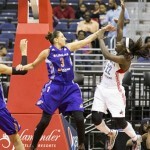 1 draft prized rookie, Brittney Griner, the Mystics at one point took a seven-point lead, 50-43. 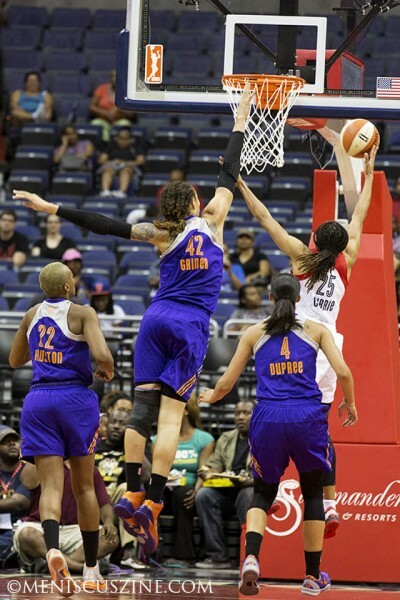 Mystics forward Crystal Langhorne was particularly effective in getting to the paint and scoring almost at will (7 for 8), while causing Griner to foul three times. 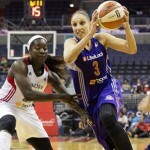 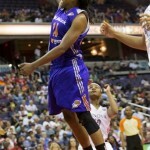 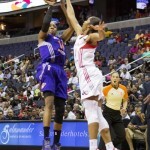 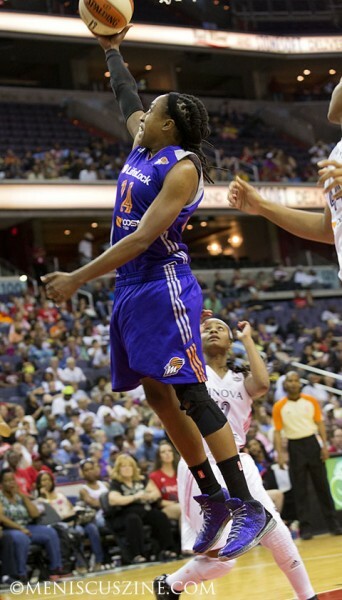 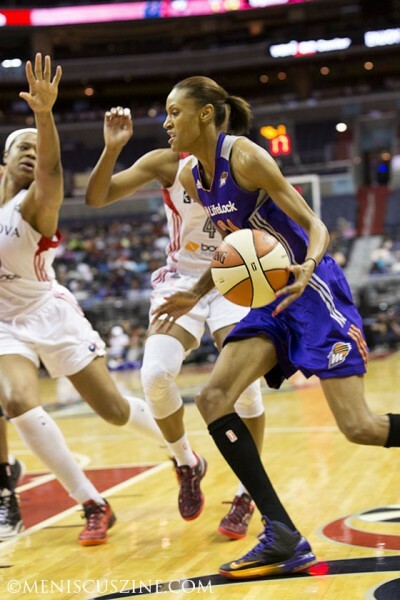 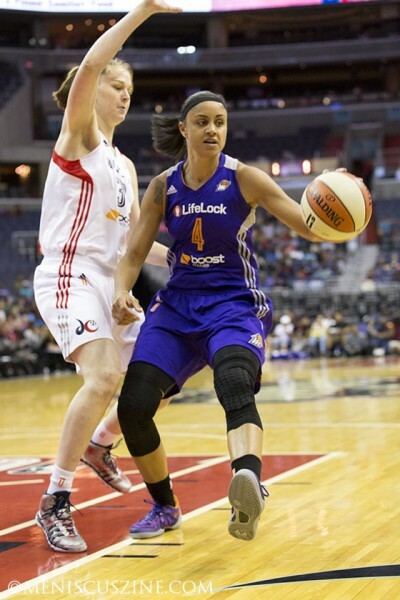 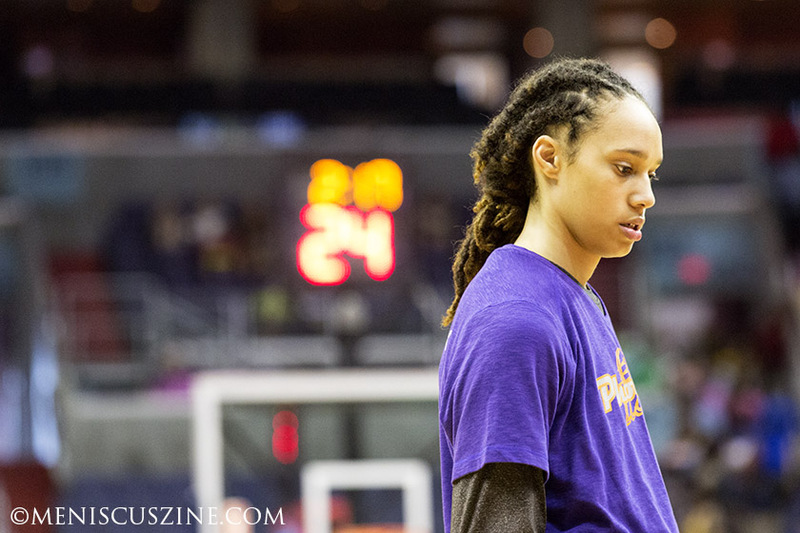 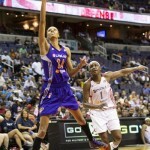 In the second half, the Mercury starters and Charde Houston from the bench simply outran and out-muscled the Mystics. 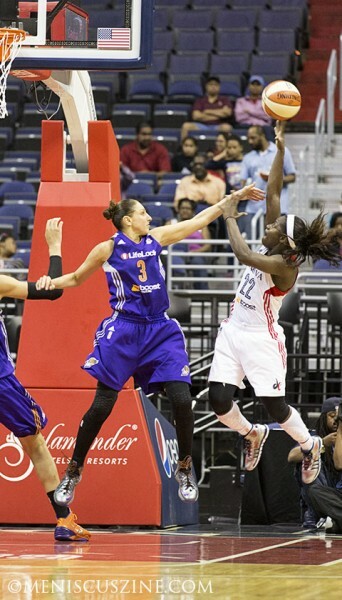 A few statistics illustrate this glaring second-half defensive collapse. 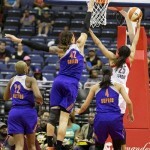 The Mercury had 10 more foul shot attempts, five more rebounds, three more steals and committed four fewer personal fouls. 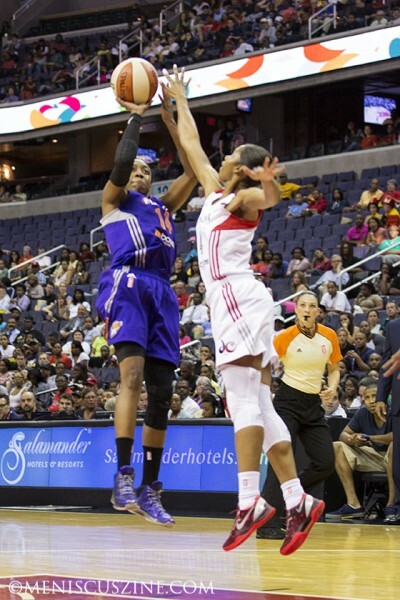 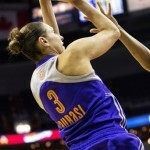 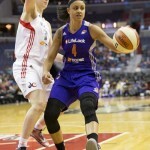 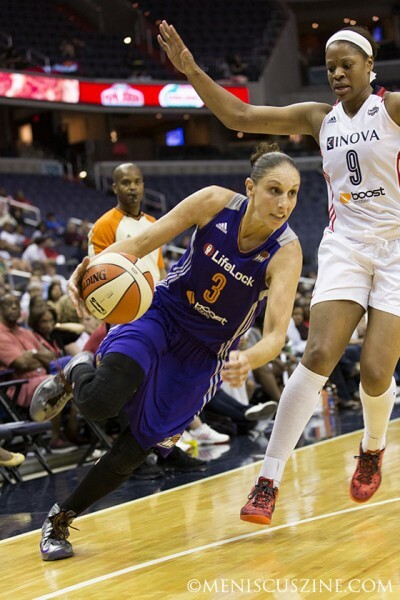 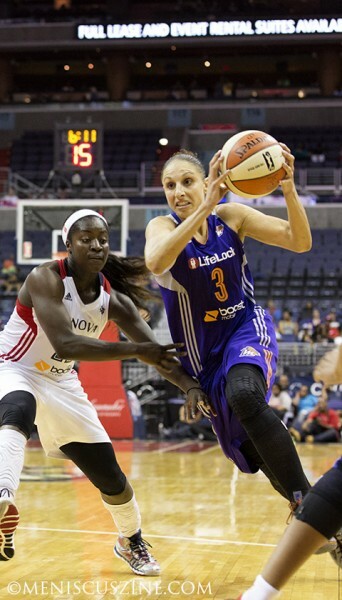 This allowed the Mercury to score 58 points in the second half while shooting just over 57 percent. 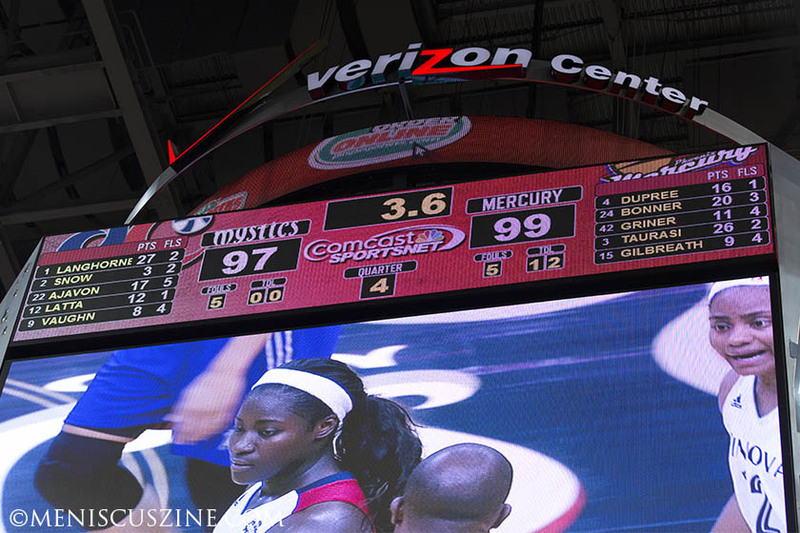 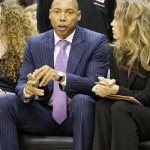 One moral victory for the Mystics was that they were still in the game with one minute to go. 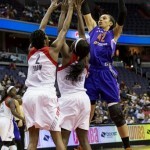 All they needed were a couple of defensive stops. 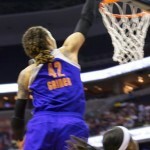 Their harassing defense on Griner reduced her touches and allowed her to make just five field goal attempts, but in the end, it was not enough.